Opening day in Chavez Ravine couldn’t have gone any better for the Los Angeles Dodgers. 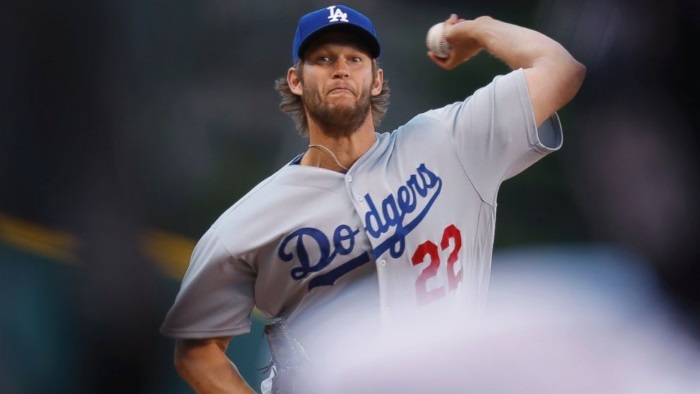 Clayton Kershaw threw 7.0 innings allowing just one earned run, and the Dodgers bats exploded for 14 runs, with everyone in the starting lineup recording at least one hit. Everything was bright and sunny in LA – until a lefty came. Clayton Richard negated the Dodgers offense that had been so potent the day before, limiting them to just 5 hits and no runs through his 8 innings. The Dodgers’ inability to hit lefties has not gone unnoticed by the league. In 2016, the Dodgers were dead last in the National League in OPS when facing lefties and part of the reason why LA spent the prospects and money to acquire Franklin Gutierrez and Logan Forsythe. The Dodgers have been so bad against lefties, that the Chicago Cubs actually tweaked their rotation, giving Jake Arrieta the night off just so they could pitch three lefties against the Dodgers. Although inconsistent, the bats came alive in the fourth game of the series against the San Diego Padres, giving Los Angeles a 10-2 victory and a 3-1 series win. The hot bats cooled down in Denver, as LA was able to muster only three runs in the first two games of the series against the Colorado Rockies, atypical of a classic Coors Field game, where teams score runs left and right. Fast forward to the opening game against the Chicago Cubs, facing Jon Lester – the Dodgers were able to scrape together two runs, eventually falling 3-2 on an Anthony Rizzo walk-off single in the ninth – but multiple scoring opportunities were squandered – namely a bases loaded, no out situation in which LA came away with nothing – not a single run. The Dodgers are expected to be one of the top teams in the National League this year, but until they can get more consistent at bats and timely hitting, they will continue to be a .500 team.